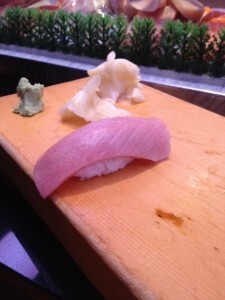 I’ve been going to Z Sushi in Alhambra for almost ten years now, and it dawned on me that I rarely blog about it. It’s safe to say J and I dine at Z Sushi more than any other restaurant, with the bar at Drago Centro coming in a close second. My parents go to Z at least once a month, my sister has it on her list of “must visit” places when she comes home from Ireland to visit, and we’ve taken countless friends there who have also fallen in love with Z. Being Japanese (well, half), I realize “Z Sushi” doesn’t really sound like an authentic kind of place. 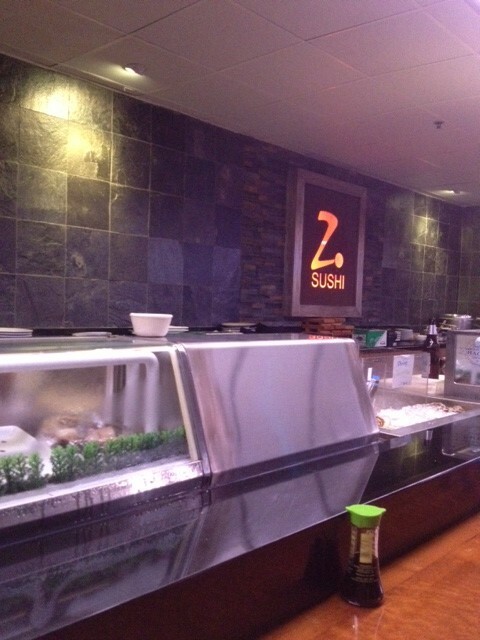 The large, free-standing building that is Z Sushi, the full bar (cocktails, anyone?) and an extensive kitchen and roll menu would probably make sushi purists run for the hills of, let’s say, Sushi Kimagure, but trust me when I tell you, the sushi chefs at Z know what they’re doing, and it’s authentic. 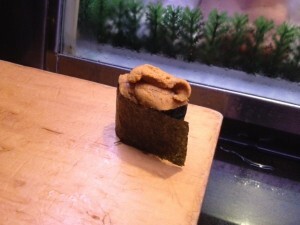 There are a couple of tricks to ensure you’re getting the best of any sushi restaurant- one, sit at the bar. Puleeze, just do it. I can’t imagine eating sushi at a table off of large platters. 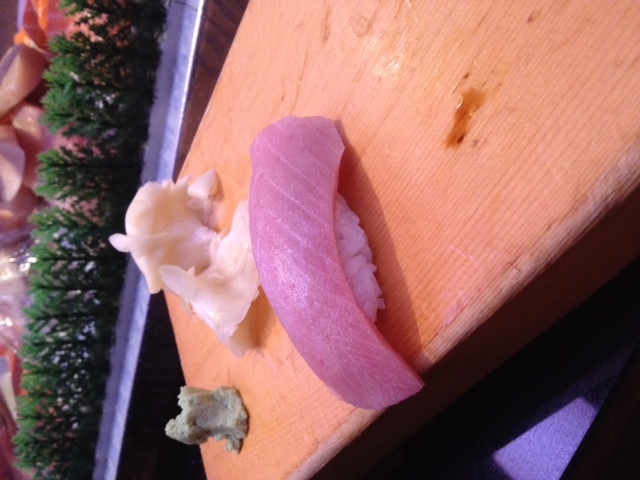 Sushi is meant to be eaten piece by piece, slowly, savored, and preferably while chatting about the day’s best catch or the heartbreaking 49er game with the chef. Don’t even order- just let the chef serve you what is best. 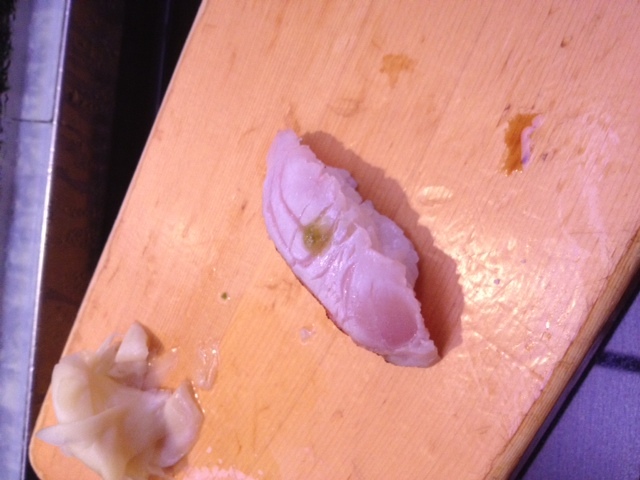 Simply let him know if you have any dislikes or allergies, even tell him the ballpark of how much you’d like to spend (this is not frowned upon at all in Japan where it’s normal to say you’d like the chef’s choice but don’t want to go over, let’s say, $80 per person). 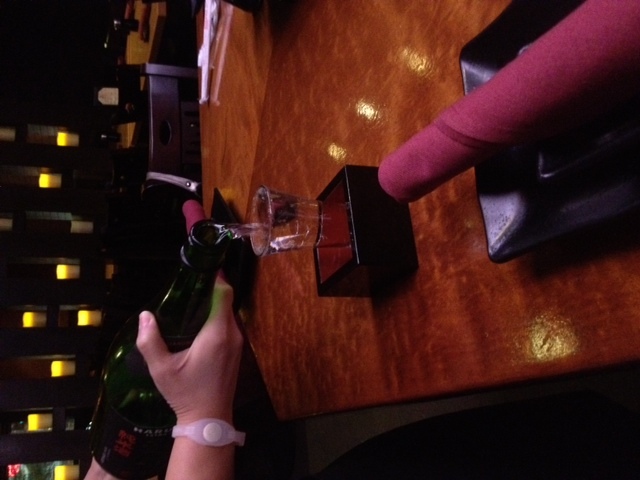 Then sit back, order a glass of cold sake (honestly, cold is better) or beer and let him give you the best of the day. Both Toshi-san and Tatsuya-san at Z do this for almost everyone at the bar, unless they run into the occasional customer who wants to simply order what they want, which is fine too. A nice bonus you gain from both chefs is that their omakase usually includes a few creative dishes they’ve conjured up on the spot. Again- this doesn’t make Z Sushi less authentic- it is a sign of the close and familiar relationship between you and your sushi chef. 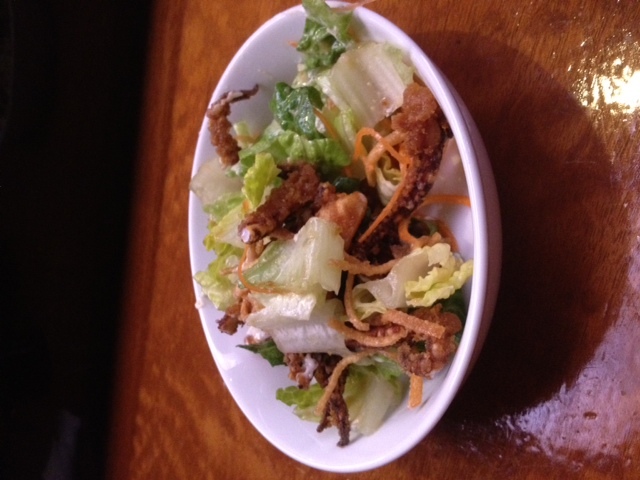 We’ve had some of our favorite dishes introduced to us in this way- a nice, green salad topped with crunchy fried squid, fresh shrimp ceviche served with wonton crisps, a plate of sliced octopus dusted with the faintest bit of truffle salt. Kurobuta sausage wrapped in thin strands of potato, fried. 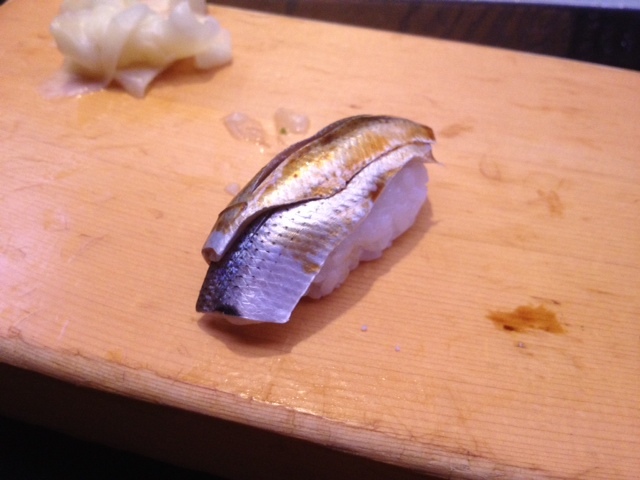 The other night we were served some glorious toro, kohada (gizzard shaad- a member of the herring family that is served lightly pickled and J’s favorite sushi of all time! 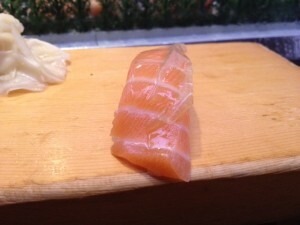 ), salmon with a thin slice of marinated kombu, then a lightly torched kinme (alfonsino) topped with a spot of yuzu pepper. 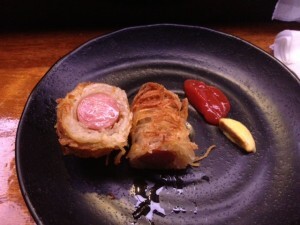 To insert a bit of crunchy fried goodness into the meal, Toshi made kurobuta pork sausage wrapped in fine strands of potato and deep fried, served with a small dollop of spicy mustard and ketchup. It was the perfect intermission to our sushi fest and reflective of his creativity and thoughtfulness into the pacing and order of the meal. 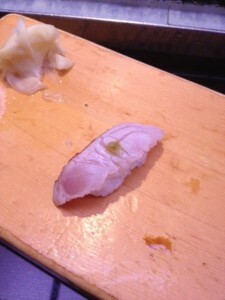 Every visit to Z Sushi goes like this, which is why we go back so often. 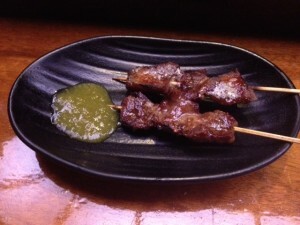 It’s a place where we enjoy the food, the camaraderie between the other fans who’ve been going for years (there are many), catching up with Toshi-san and Tatsuya-san and seeing what new creations they have up their sleeve. There really isn’t much in the way of really great sushi places out here near Pasadena (the previously mentioned Sushi Kimagure being an exception) but Z Sushi offers some of the freshest, most creative and authentic sushi around. 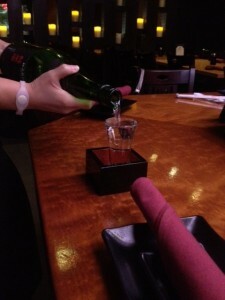 This entry was posted in Japanese food, Sushi restaurants and tagged Alhambra Sushi, Kohada, Los Angeles Sushi, Omakase, Pasadena sushi, Sake, Z Sushi. Bookmark the permalink. I’m THRILLED to hear this! 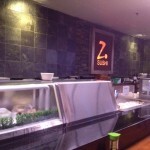 I live pretty close to Z Sushi now and have been wary. 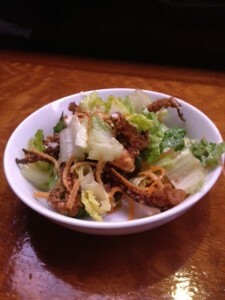 I did finally make it into Twohey’s recently. LOL. Oh good! Yes, definitely give it a try and let me know what you think. Hope you try some of the cooked dishes as well- the beef tongue skewers are incredible, as are the pork belly ones. Have fun! The first (and only place to date) place that I had sea urchin – on your sister’s very strong recommendation. The chef Toshi is, as we Irish say, a real gentleman. Weezermonkey YOU MUST GET THERE! I cry every day that I no longer have access to Z’s, my old stomping grounds (I’m Tuna Toast’s twin so we used to go together all the time). Ireland doesn’t have anything comparable to Z’s though they try…well, not hard enough but I settle for what I can get. 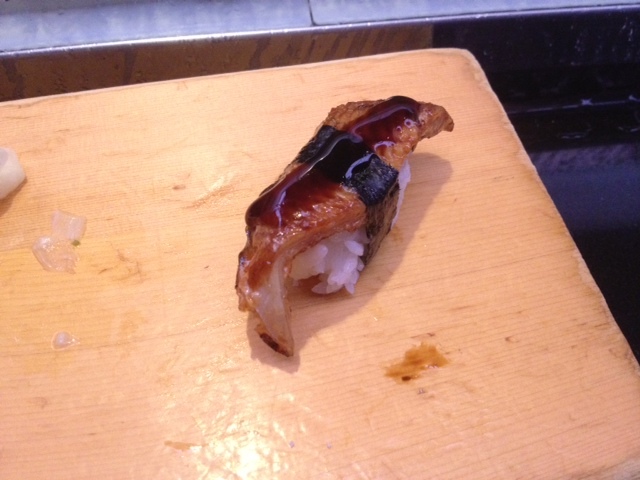 Oh Toshi how I miss you! My cousin took me here a long time ago for lunch … and I go to Pharos across the street whenever I can (which isn’t that often but mmmm Pharos). But seeing as I live in San Gabriel, I should give it another go!